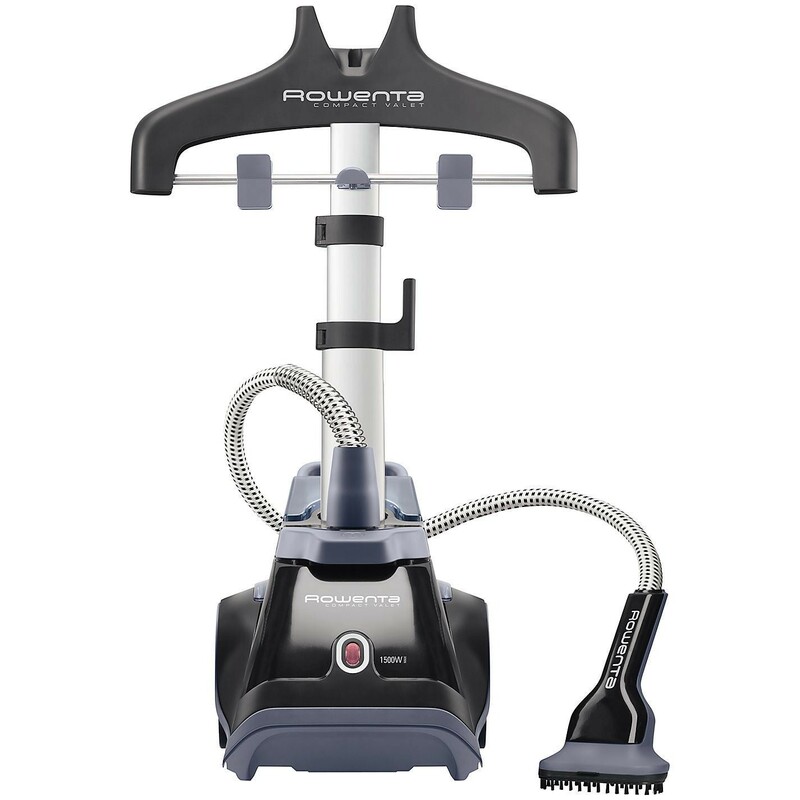 If you like to look well groomed, you'll appreciate the Rowenta IS6200 Compact Valet Garment Steamer. The garment steamer offers a delicate crease removal solution with powerful vertical steam. Powerful 30g/min vertical steam gives excellent steam penetration to easily remove wrinkles on all kinds of fabric and quickly refreshes and removes odours from garments. The versatile hanging system with large integrated hanger, offers flexible hanging solutions for all kinds of laundry to be steamed to perfection! An ergonomic handle makes it comfortable to hold and a tilt and go system for easy transportation makes this model supremely convenient for everyday use. The water tank is easy to fill and a fast heat up time of only 60 seconds means there is no waiting around. With 3 accessories included- fabric brush, crease attachment and a lint pad you can be sure that no heavy crease or line is a job too far for this garment steamer.